Deservedly our most popular mid-heel boot available in a wide choice of superb quality suedes - stunning new bordeaux and grey as well as our ever popular black, purple, rust, sandy beige, red or blue. Photos show rust, purple and black. Very fashionable yet practical boot that can be worn anytime. Sophisticated at night-time or smart during the day. On trend rounded toe shape that is particularly comfortable. Heel is 5.5cm high and for an added touch of luxury the heel is fully leather covered. Full length inside zip and luxuriously lined with leather. There is a concealed stretch panel for extra comfort at the top of the boot. Minimum ankle size is 24 cms in foot sizes 36 to 38 and 25 cms for larger sizes. If your priority is a very tailored fit to very slim ankles we would recommend our other heeled styles. 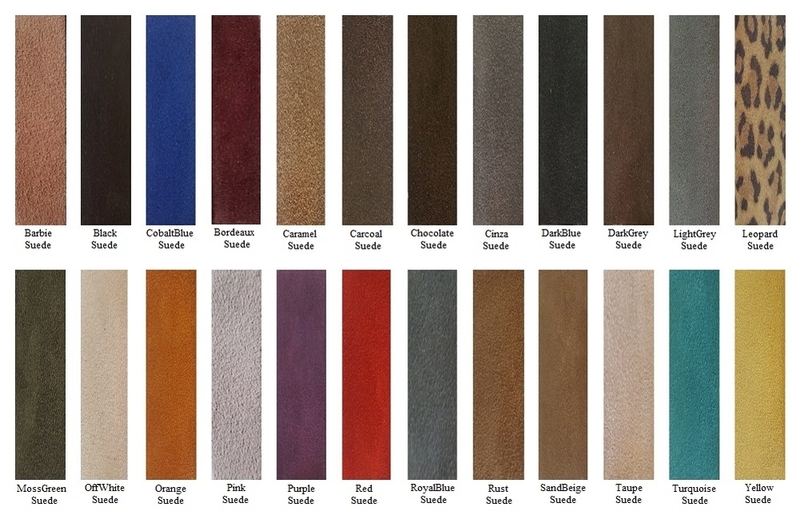 Also available in black, waxy brown, dark brown, navy blue and tan milled leathers see Capri Leather.